A few days ago I woke up thinking about how technology ceases to amaze me. I was lecturing my child about leisurely activities of the past and how I took pride in my vinyl record collection. I recalled the cassette recordings I’d compile to play in the radio of my customised car, complete with newly fitted speakers, acoustic shelving and low rimmed alloy wheels! The average teenager probably doesn’t understand how we survived without multi channel TV or smartphones to download the latest albums, watch movies or Skype friends half across the world! I guess my conversation echoes that of previous generations telling their children how things once were! The work of artist Paul Granjon raises questions about our relation to technology or, in his own words, about the co-evolution of humans and machines. 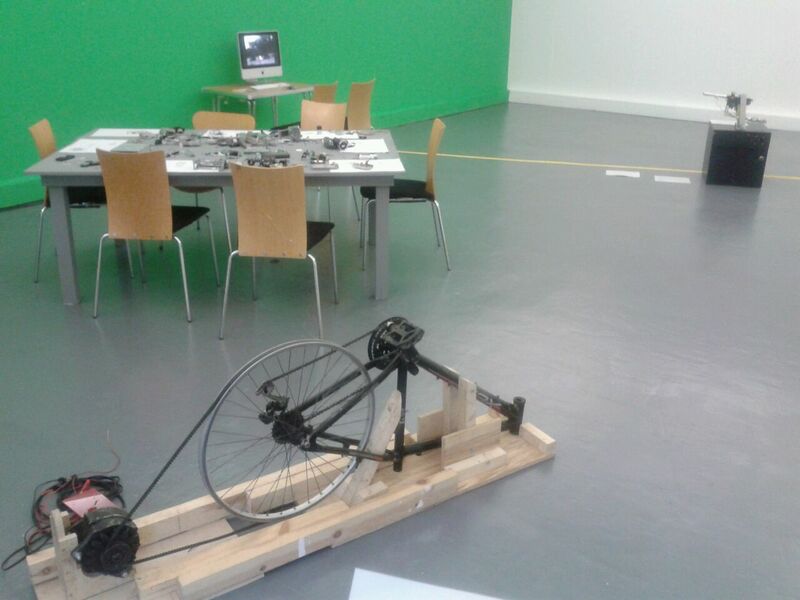 Machines are presented in performances and as installations where visitors are invited to contribute, learn, make and share. Granjon, born in Lyon and a Marseille graduate of fine art, teaches part –time at Cardiff School of Art. His current interests are creative technology approaches to low- impact living, electronic waste up cycling and social dynamics for alternative futures and artificial creatures. The show runs until June 4th at the Waterman’s Arts Centre, Hounslow if, like me, you have time to pop by that part of west London.